Chris Bertish arrives at English Harbour on 9 March 2017 after 93 days at sea. I’ve lived a very ordinary life; I’ve not put a foot very far outside my cushy comfort zone. But on my birthday, two years ago, my second cousin Chris Bertish (whom I’d not yet met) set off on a journey so out there, that it caught hold of my imagination and triggered a sequence of events, connecting me to a handful of super-inspiring people who have completely shifted my world. 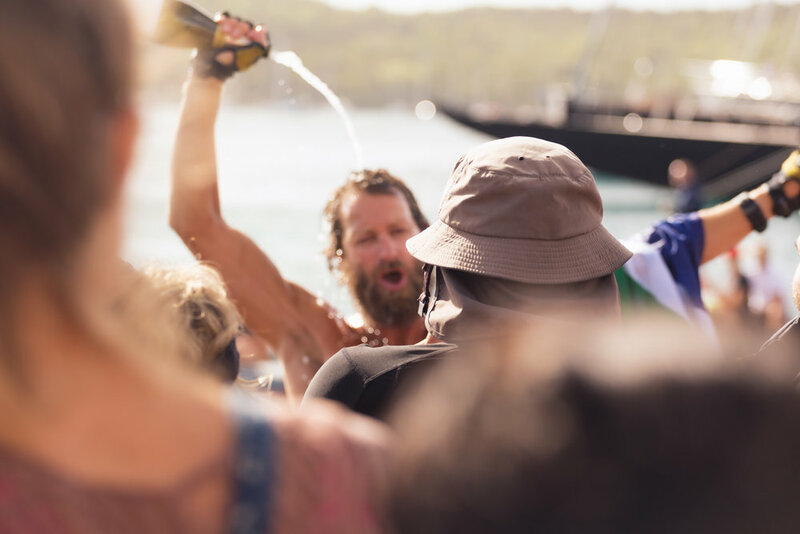 Chris Bertish was the first person to Stand Up Paddle Board across the Atlantic from Agadir in Morrocco to Antigua, spending 93 days at sea, and raising $6 million for South African children’s charities. Chris, without doubt, has sparked flames worldwide with his outstanding achievement. He has brought smiles to the faces of hundreds of children, and shares his incredible story across the globe, inspiring people and organisations everywhere. The power of inspirational acts by our fellow human beings is considerable. It spreads like wildfire. When touching your life at the right time, in the right place, inspiration sets you alight. It can be just one amazing encounter, or a series of encounters, but you will reach for your destiny when it comes, and nothing will stop you. Best of all, as soon as you begin your journey, you spread your own sparks of inspiration to the people whose lives you touch, who then, in turn, become your inspiration to achieve what you set out to do… it’s totally magical. Here is an excerpt from ‘Stop drifting, start rowing’ by Roz Savage MBE, ocean rower, author, speaker: first and only woman to row solo across three oceans, which underlines this very phenomenon. Atlantic Discovery call their team of inspiring supporters Stowaways. This is because every helping hand, word of encouragement, kindness, offer of support, contribution - financial or otherwise - immediately makes you part of our story. You’re on our boat, with us on our journey, in our thoughts for 3,000 miles. By helping us, you become our inspiration to achieve our goal. Take Steve Morse and Gerrard Spear from Lyme Bay Consulting, for example. They are a genuinely philanthropic organisation who give their personal time and financial support to their chosen charity each year. In the past, they’ve supported education and mentored students. It’s not about money for them, it’s about building lifelong relationships. This year, they chose to sponsor Atlantic Discovery’s crossing by becoming a Bronze Partner. They paid us promptly, organised the logo for Ellida and some promotional t-shirts, job done. So here’s how they blew us away. Our oars are still available for sponsorship, so Steve is doing the rounds with his clients and contacts trying to get interest in the engine-room of the row. Wow. Ellida is being shipped from London Heathrow to La Gomera in a couple of weeks and we needed an accessible warehouse to store her and do final packing. I put out a random call to Steve, and a few other contacts, to ask if anyone knew of any potential sites. Not only did Steve go out of his way to find a place for us, but Lyme Bay Consulting offered to pay for it too! Wow. Wow. Lyme Bay Consulting is coming to La Gomera to see us off. Wow. Wow. Wow. They are extraordinary. They’ve exceeded our expectations, big time. But this is true for each and every one of our supporters and Stowaways. The acts of kindness, messages and support is mind blowing. So much so, that we’re going to feature them in a little book for the team to take with them on their journey - for those low moments - when they need to reconnect with their inspiration. 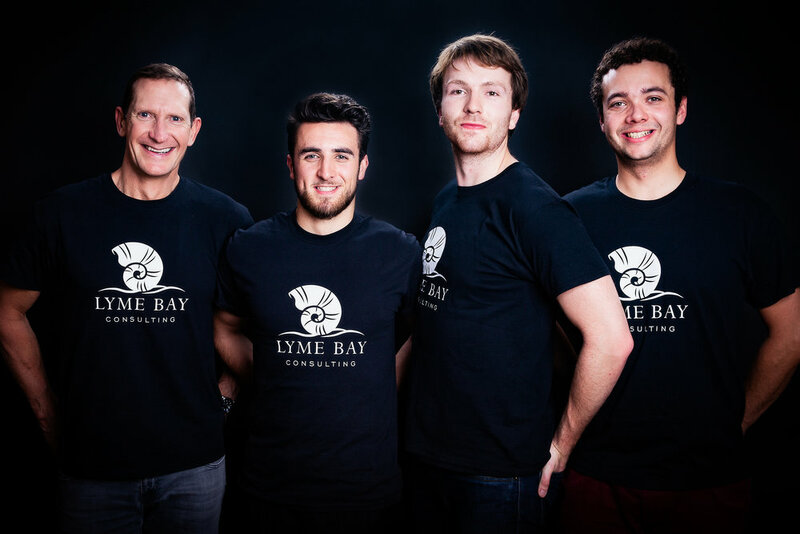 We are so proud to be wearing the Lyme Bay Consulting t-shirts - we are so grateful to have you as part of our story. Thank you Steve and Gerrard. Have you been touched with a spark of inspiration? Become part of our story. Newer PostWhat's our favourite colour?